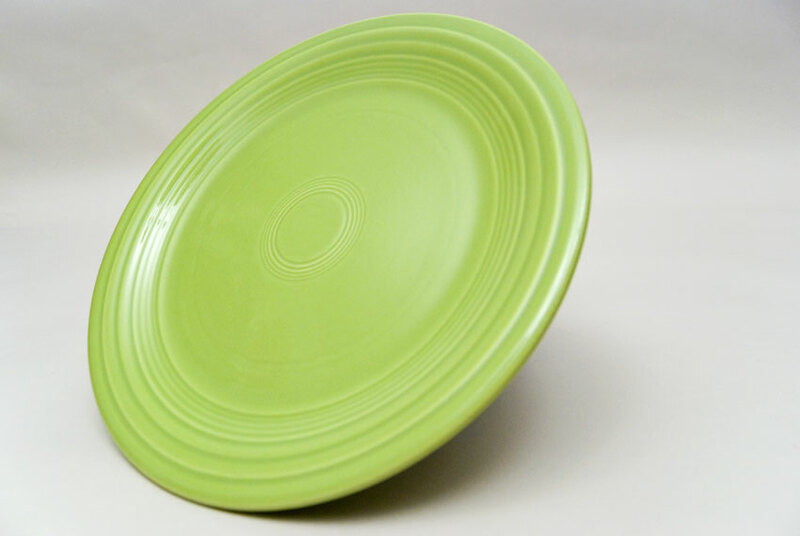 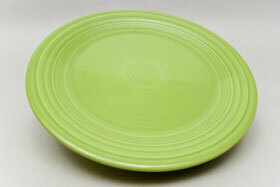 Circa 1951-1959: The 9" Fiesta plate has become known as the "lunch" plate. 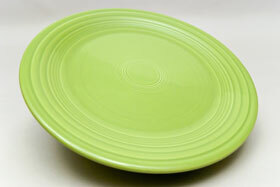 It's a perfect size and what we use in our house for everyday dinner. 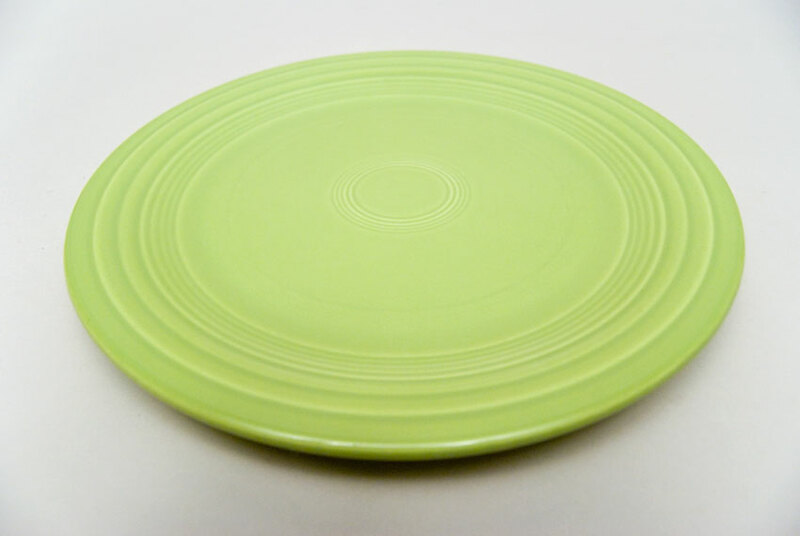 Plates were made upside down on the jiggering machine and the rings were tooled in by hand. 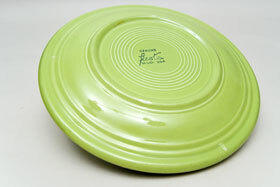 This example in the hard to find 50s Chartreuse glaze is in fantastic condition. 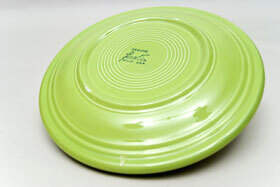 Glaze stamped on the back. 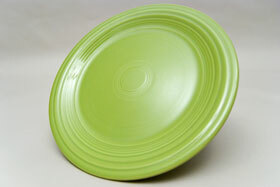 Measures 9 7/19" x 3/4"